From now until Jan. 31, students are able to go to the fitness classes in the Student Activities Center (SAC) for free. After that, students must pay either $2 per class, $20 for eleven classes or $60 for the entire semester. Changes are made each semester to the class schedule and the types of classes offered. Classes are taught on the ground floor of the SAC. Interval Challenge: Both a cardio and strength class. 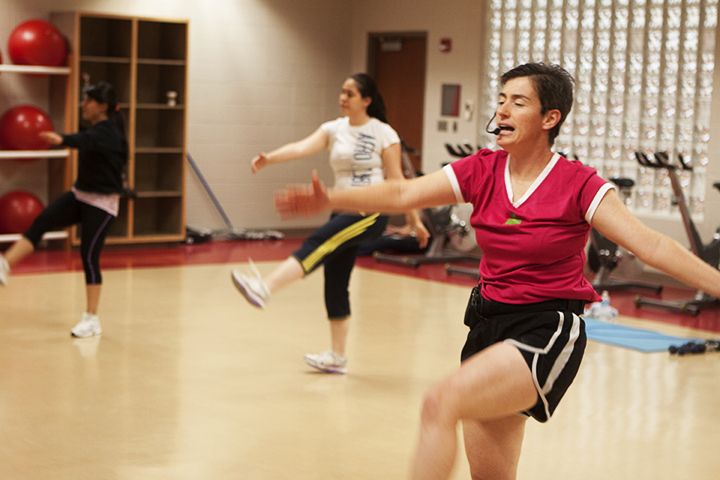 Wednesdays from noon to 12:50 p.m.
Zumba: A workout that involves dances such as the Cha Cha, Salsa and many more. Tuesdays and Thursdays from 4:15 to 5:15 p.m. Extreme Boot Camp: Involves a combination of moves that will give you a full body workout. Wednesdays from 4:15 to 5:15 p.m. Cycle and Strength: Includes 30 minutes of cycling and 30 minutes of strength. Mondays and Wednesdays from 5:30 to 6:30 p.m.
Class descriptions are from www.iusbtitans.com. For more information on what each class is about, there are fliers available in the SAC. Students can also email Gary Demski at gdemski@iusb.edu. Previous postIs 2014 (finally) the year of the book revolution?